An external Industrial Panel-PC enables your production staff to carry out process changes and eliminate malfunctions more quickly. The split screen can simultaneously display the function of several machines as well as the cam images from the camera. 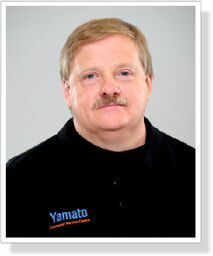 Do you know how to optimize your packaging process? Are you aware of the fact that your production staff can save a lot of time if the controlling of the packaging process is established via an external Industrial Panel-PC, positioned in an easily accessible place? In a packaging line, the multihead weigher is usually located above the bag machine. 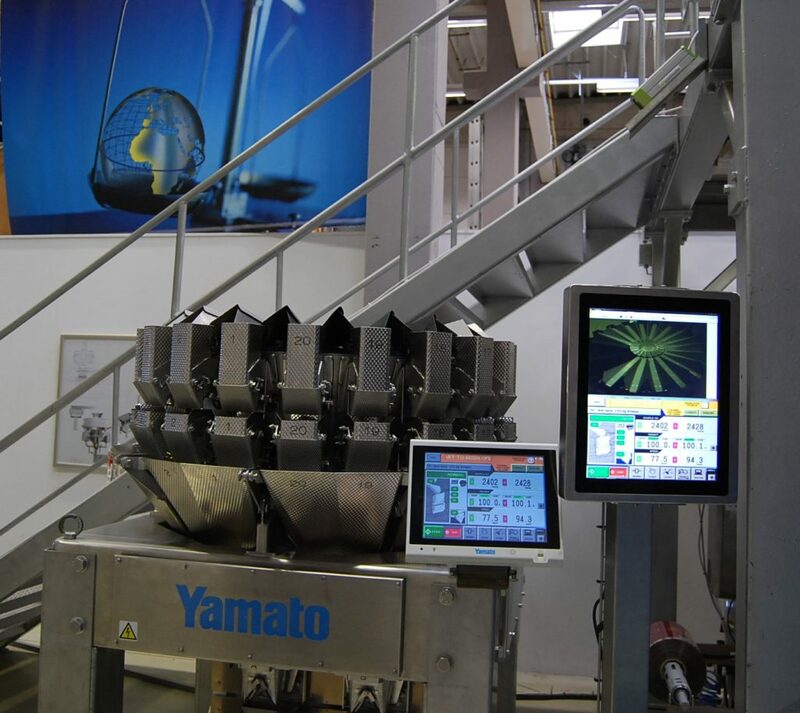 Placed there, the multihead weigher is dosing the products before distributing them into the bag. To operate the line or change any process settings of the multihead weigher, the operators have to access the upper level. There are several ways to eliminate such loss of time. 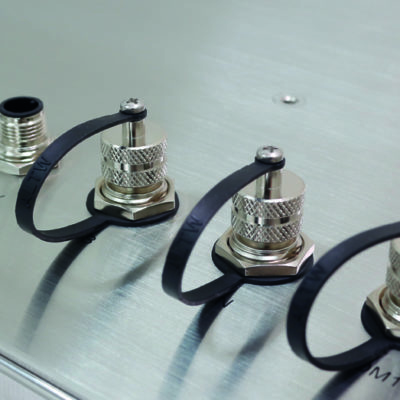 An efficient solution for that is the application of an Industrial Panel-PC. This allows you to control the multihead weigher as well as the feeding equipment, the bag maker and the checkweigher, if required. 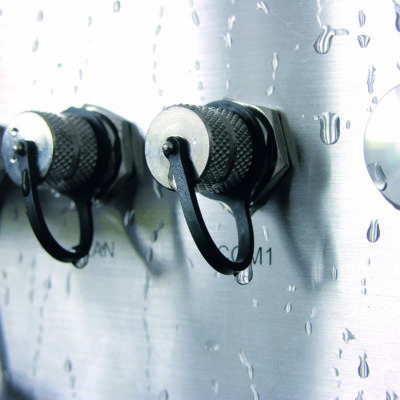 This Industrial Panel-PC can be positioned in an easily accessible place, e.g. next to the packaging machine or in a separate operating room. 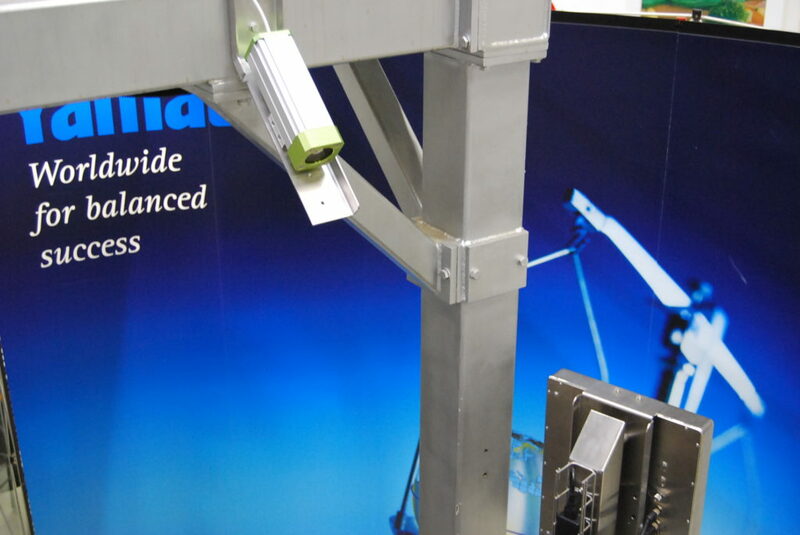 If you would simultaneously like to “keep an eye” on the product flow, a camera can be installed above the tope cone of the multihead weigher. 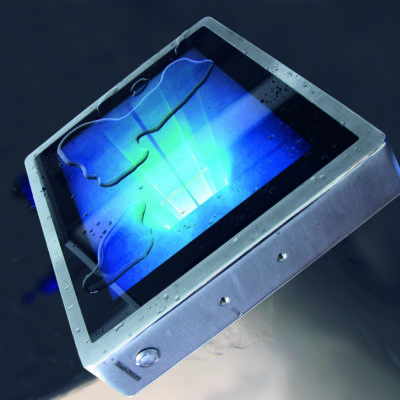 A direct screen transmission occurs onto the display of the Industrial Panel-PC, so that the packaging process can be easily observed. In another constellation, several multihead weighers involved in several packaging lines can be controlled via a single Industrial Panel-PC. 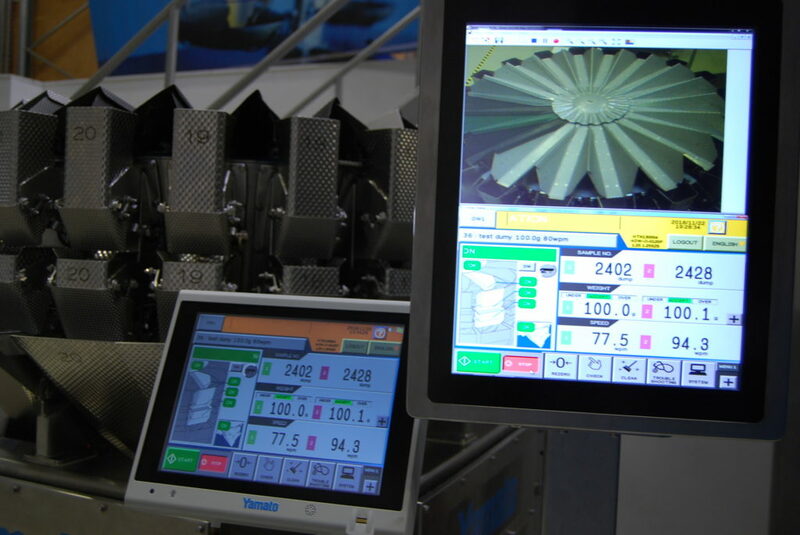 In this case the monitor can be split into a multiple display from which the function of several multihead weighers can be simultaneously monitored and controlled. This application provides an enormous improvement for your packaging process. 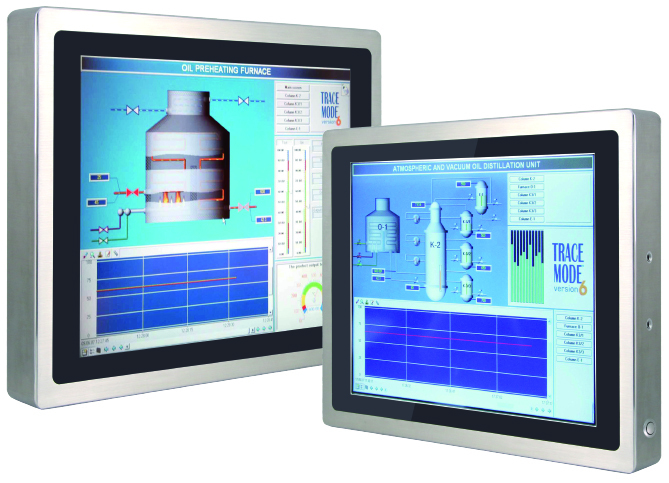 Such Industrial Panel-PCs can be implemented across production areas. The working environment can vary from dry and dusty to wet, as well as both high and low temperature. 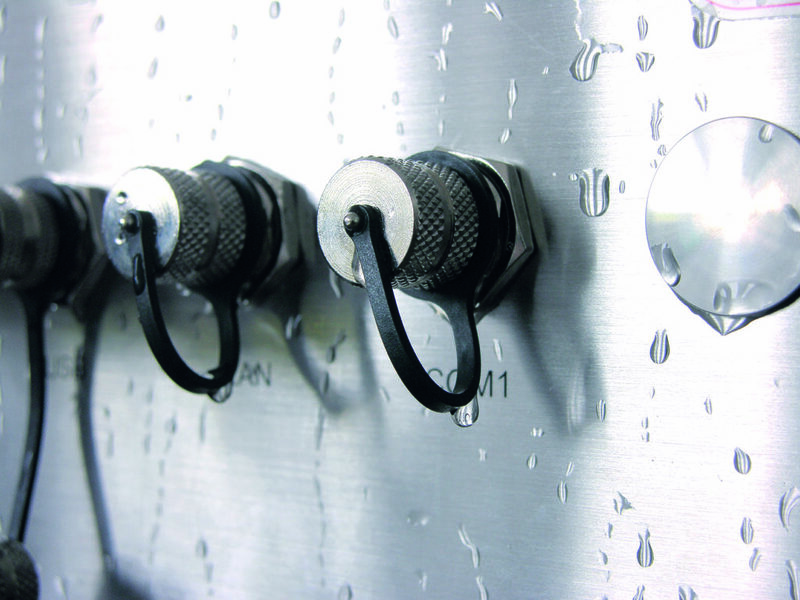 The industrial Panel-PC has the best hygiene regulations with IP69K. 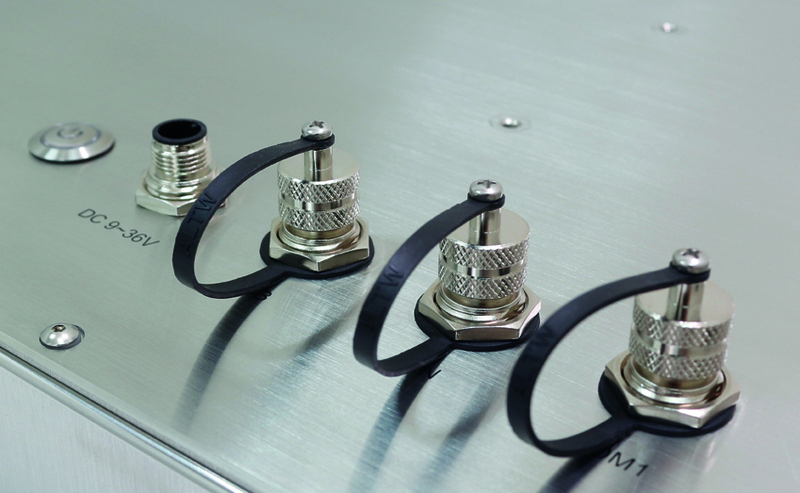 The split display makes it easy to control several machines simultaneously. The camera mounted above the multi-head weigher enables direct image transmission to the display of the industrial computer. 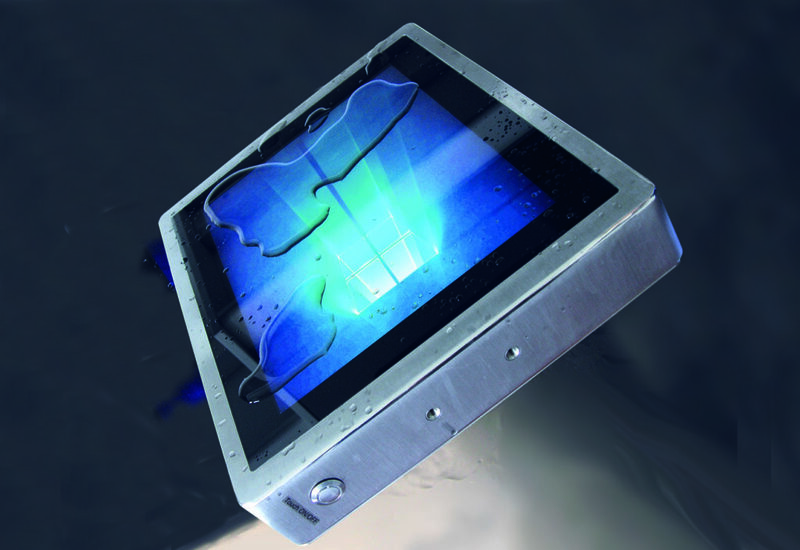 The touch screen function can easily be switched off during cleaning via the Touch On/Off button. 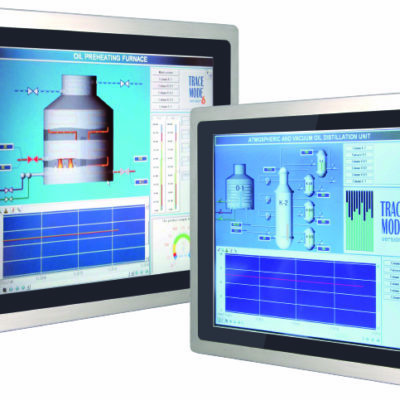 Industrial computers can also be used in wet production environments. 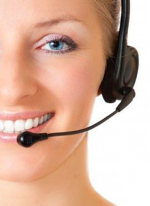 Our consulting team comprises experienced technicians and competent members of our Service Team, all readily available to advise you on the benefits of the Industrial Panel-PC.